I’m thinking of starting a new thing. A bit like Champagne Thursday – for any one who has watched Failure to Launch. I think it might catch on. In case Passion Pop is one of those ‘australian things’ like vegemite or tim tams i should explain. 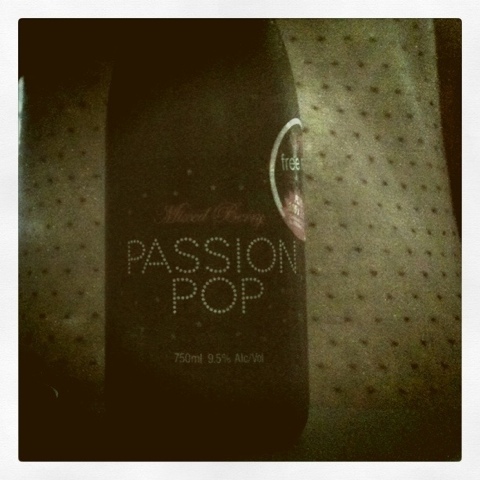 Passion Pop is really cheap sparkling wine. Like really cheap. It’s one of those rites of passage; drinking a bottle of passion pop and then going out tipsy for a cheap night. Because it is really cheap. The bottle of sparkling i buy when i want something nice to drink is $15. Passion pop is $6. It’s so cheap it makes it good. When i bought it at the liquor store, the guy behind the counter asked if that swill was for me, at least it matched my hair. It doesn’t have a good reputation. But i kinda don’t care. I like it, and i think it’s yummy. So passion pop wednesdays from now on. Just the way to break up a monotonous week. 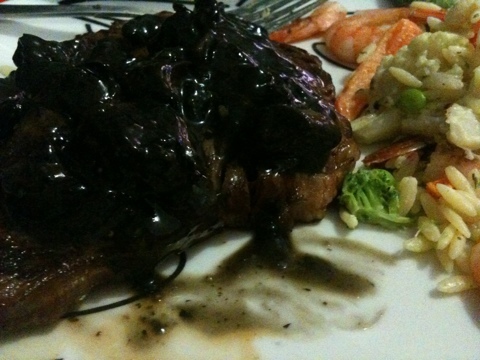 oh and we had steak with mushroom sauce, and risoni salad. 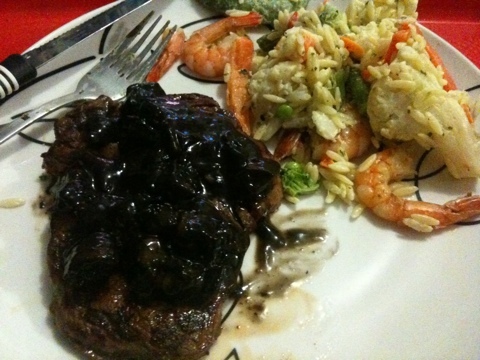 The steak was cooked by my boyfriend the steak master. The mushroom sauce was mushrooms and gravox. And the risoni salad, was risoni, frozen vegetables, frozen prawns, parsley, and philadelphia cheese all mixed together.